Among the souvenirs I collect during my travels, picture postcards are recurring visitors. Besides being light in weight–both in terms of mass and price, these cards open mini windows to new worlds. Easy to carry, easy to share, easy to keep or frame–picture postcards have almost everything going for them. Well, almost. My one pet peeve with these cards has been the limited information one usually gets about the picture in question–mostly just a line or two and at the most, about a paragraph. 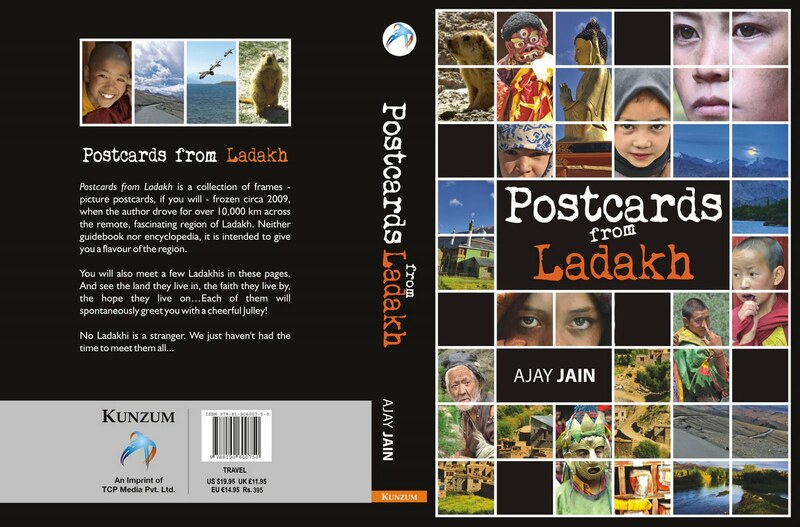 Ajay Jain’s new book, Postcards from Ladakh, redresses this issue with commendable facility. With this book, Jain takes us inside the astonishingly beautiful yet often difficult terrain of Ladakh–among the remotest and most sparsely populated regions of India. Every page you turn is a new postcard–the picture on the left and Jain’s notes on the right. As he notes in one of the opening chapters titled Ladakh, Circa 2009, “Start reading from any page,” for you won’t miss anything if you didn’t follow the exact order of the postcards. The pictures grab the reader’s attention right away, and once I had seen/read a few cards, I started imagining my own reading of the images before my eyes floated over to Jain’s text. Since this world was as alien to me as that of tribes living in the Congo basin, my imagination couldn’t stretch too far. That’s where this book succeeded in style. It presented me with just enough information on each accompanying picture without overwhelming me with a flood of it or depriving me by sharing too little. Jain writes the notes in affable first and second person voices, generously interspersing them with wit, practical advice and most of all, his passion for the place. A big chunk of the postcards reflect Ladakh’s Buddhist tradition, its intricacies, distinguishing features and sovereign influence on the local populace. Others highlight the region’s flora, fauna, economy, history, and geology. The last few chapters are extremely useful for anyone planning a trip to Ladakh. In these, Jain provides an experienced traveller’s tips on how to pack, how to move about and how to keep the environment clean. There’s also an engaging interview with Ladakh’s spiritual supremo, the Twelfth Gyalwang Drukpa. I found this a nice touch to this collection of postcards. 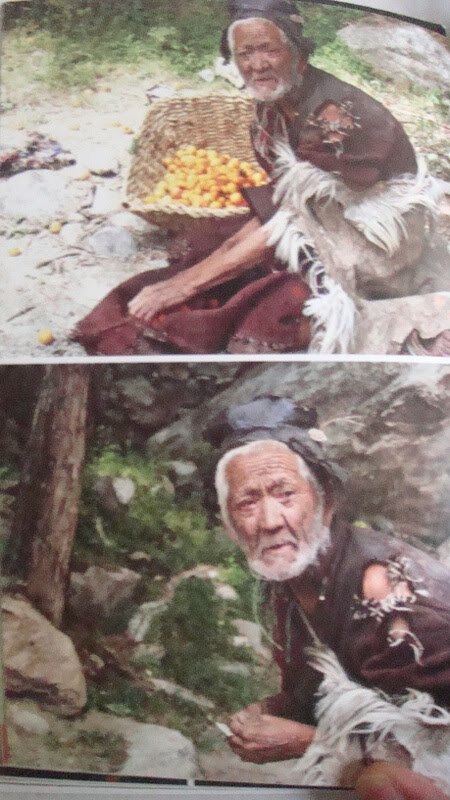 This image, depicting an old apricot collector, arrested my attention for quite a while. Do you also find the wrinkles on his face speaking of an unknown, unknowable pain? 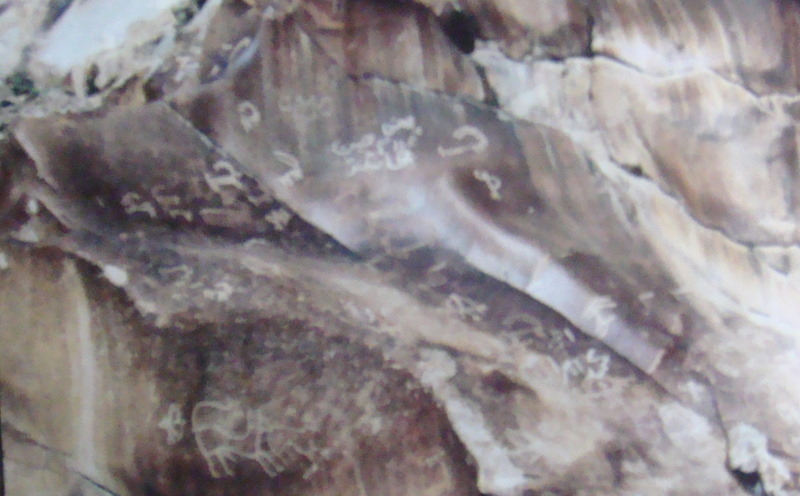 Rock art dating to the 6th century AD. On a single rock in the entire region. Intrigued to know more? Visit Ladakh to find out. Or just read Postcards from Ladakh. Stories like the one this postcard tells warmed my heart the most. 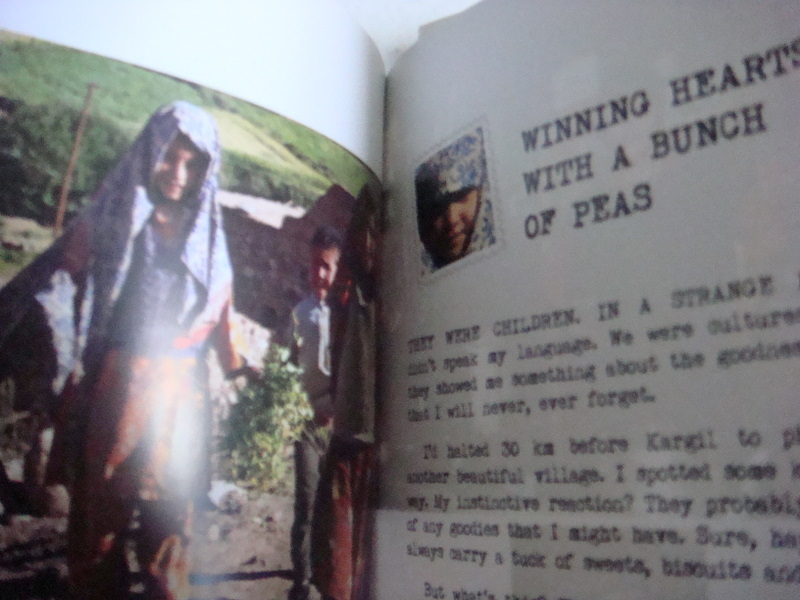 It shows a bunch of happy little children who shared their bounty of sweet peas with the author, expecting nothing in return. Although he did reward them with chocolates, I suspect, he was the bigger winner. 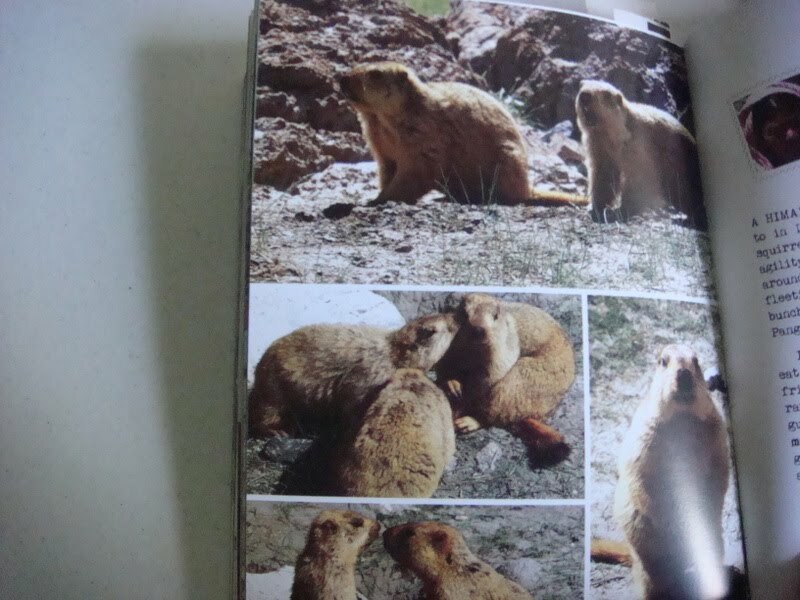 And lastly, this multi-image postcard about Himalayan marmots is just too good to be denied a mention. The author was lucky himself and shares his most entertaining encounter with these “adorable creatures,” who are often a little shy of human presence. The only additional feature I wished the book included is a glossary of terms. 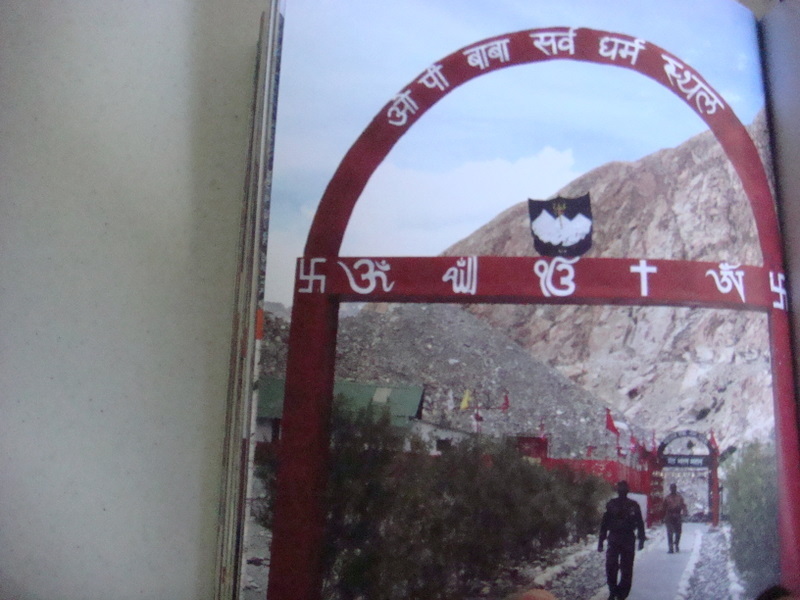 Some of the Ladakhi Buddhist references can get confusing, even with repeated reading. All the same, whether you are in a hurry or at leisure, Postcards from Ladakh is a perfect reading companion. It’s also a smart travel guide without posing as one. Thanks for reading, Tabitha. Always a pleasure to read your blog. Thanks for sharing with such openness. Oh my goodness Bhaswati….what a pleasure to see this wonderful post showcasing this fine book! Like you, I am a postcard collector and before me, my mom collected them. A few years ago she gave me her entire collection and some of the cards dated back to the early '40's – even before she was born! Travel, reading, postcards -these are a few of my favourite things and it appears I will find them all in Ajay Jain's book. Thank you!!!!!!! Thanks, Oni. I do find picture postcards very useful as reminders of my travels. The other day we visited the SF Museum of Modern Art, and they gave us two cool postcards of artworks exhibited inside the museum. These were our prizes for taking part in a survey! Hey, Oni, thanks for the meme. Not sure I am capable of playing it as well as you did. I do hope to try it sometime soon though.